When customers choose a clothing brand, they take a lot of things into consideration, including price, style, availability, and brand reputation. It takes the perfect mix of fashion and function to draw in customers. But the clothes won’t sell themselves, so a strategic marketing mix is also required. In an increasingly data-filled world, many companies rely on analytics for every customer decision. 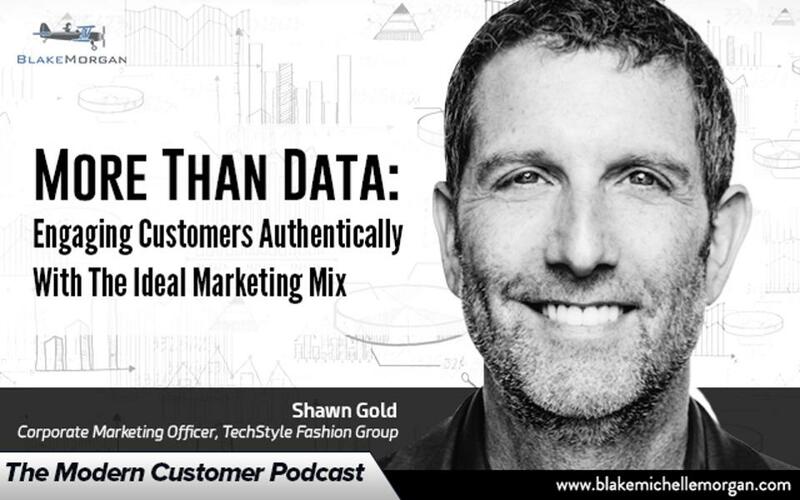 However, TechStyle Fashion Group, which operates brands like Fabletics, Just Fab, and Shoe Dazzle, has expanded beyond just data to find the right combination of strategic data and human connections to maximize its marketing efforts. The company shows that a good marketing mix involves not just data but also personalization, technology, and a strong connection with the brand. Each of TechStyle’s brands works as a sort of subscription service — customers share data with the company and agree to visit the site on a monthly basis to see the new collections. Having detailed customer preferences, buying habits, and sizes in a huge database makes it easy for the company to create products it knows customers will buy and love. While the traditional retail model creates products it only hopes customers will purchase, brands like Fabletics use data to know exactly what customers want and sell a staggeringly high 90-95% of their products. With so much data on their customers, it would be easy for TechStyle brands to sit back, watch the return customers flow in, and treat everyone the same. But instead the company works to authentically reach out to customers to build a strong brand connection. When it comes to getting first-time customers, TechStyle relies on a wide variety of marketing methods. Because the brands are so data-driven, the marketing approach is also very personal. It adds to the brands’ values of working with each customer to create a great experience. Shawn Gold, TechStyle’s Corporate Marketing Officer, says that in the last year the company did around 24,000 different Facebook ads, 600 different versions of its websites, and 6,000 different emails. In many cases, the company uses existing data to find target markets and customers and then tailors the approach to best reach them. Added to the marketing mix is a strong word of mouth referral program. TechStyle’s brands tend to have very strong net promoter scores, with customers telling their friends and family about the services. This is due to not only have a convenient service that exceeds customer expectations, but also by building a culture that puts the customer first. Prioritizing an effort to keep customer involved builds customer loyalty, which contributes back to the marketing efforts. TechStyle regularly holds focus groups and even visits the homes of its customers to see what is in their closets and how their clothes match their lifestyles. Data helps the company ask the right questions, but the answers come from the customers themselves. Showing genuine interest in customers and finding better ways to match the product with what customers really want is incredibly effective and keeps customers coming back for more. Every Fabletics employee also has to work in the store so they can talk with and really get to know the customers. In an increasingly technical world, TechStyle doesn’t rely completely on automation. While there are some issues that are solved with machines, much of the customer service efforts are led by humans. The company has found that customer satisfaction results are more than 20% higher when humans are involved in the process because its customers love having a personal connection. Data plays an important role, especially in the ever-changing fashion world, but it isn’t everything. Creating brand-loyal customers comes from a unique marketing mix that puts customers first and makes them central to everything the brand does.